الخيار الأفضل للحصول على المتعة والاسترخاء, Port Douglas Motel يقع في منطقة نورث بورت دوجلاس في بورت دوجلاس. يجذب هذا الفندق ذو 3 نجوم، والذي يبعد 0.2 kmKm فقط عن وسط المدينة و 60 km.Km عن المطار، الكثير من الزوار سنوياً. يشكل هذا الفندق ملاذاَ مريحاً للاسترخاء ويمنح زواره فرصة للاستجمام والتجدد، وهو يقع على بعد خطوات من المعالم السياحية الكثيرة للمدينة كمثل: Funstuff by Lynda, اكوموديشن بور دوجلاس, Whileaway. كما يقدم Port Douglas Motel الكثير من الخدمات لإغناء رحلتك في بورت دوجلاس. يقدم الفندق واي فاي مجاني في جميع الغرف, خدمة غسيل ذاتية, تخزين الأمتعة, واي فاي في المناطق العامة, صف السيارات لضمان الراحة القصوى لضيوفه. يمكن للنزلاء الاختيار من ضمن مجموعة من الغرف المصممة بعناية لتعكس جواً من الراحة، والتي يتجاوز عددها 20. يقدم الفندق مجموعة واسعة من وسائل الراحة المتنوعة، كمثل: مسار جولف - ضمن 3 كم, حمام سباحة خارجي, صيد السمك, تدليك, مسبح (للأطفال). يشكل Port Douglas Motel بخدماته الراقية وموقعه الممتاز، قاعدة مثالية للاستمتاع بإقامتك في بورت دوجلاس. يُرجى العلم أنه توجد رسوم عن الأطفال قدرها 10 دولار أمريكي للأطفال الذين تصل أعمارهم إلى 12 شهرًا. بالإضافة إلى ذلك، إذا تطلب الأمر تأجير سرير للطفل، فسيتم دفع رسم قدره 5 دولار أمريكي في الليلة الواحدة. Have stayed a few times before, first time in room number 4, had different decor to the other rooms - more retro.. You have to keep the curtains closed though in some of the rooms as a neighbouring building has balconies that are very close and they look directly in.. Can't beat the location, easy walking distance to restaurants and the beach. My fiance and I stumbled upon this motel for an affordable place to stay after we burnt ourselves on the reef. We ended up staying 2 extra nights because the place was so clean and comfortable and the staff made us feel like part of the family. Such a great family business! I will definitely go back here and I recommend it to anyone visiting Port Douglas. It also has the perfect location... right by the main strip. This motel was great. The room was spacious - more like a self contained unit than a motel room. It was modern, clean and very comfortable. I was only there one night but it would be very comfortable for longer stays. A very short walk to the main street with shops and restaurants. The owners were lovely and very welcoming. I'd definitely stay there again. the room size was great, shower as well. Had a very nice welcome and info on arrival from staff. Close to everything. Other guests were a little bit noisy but not really a problem. Staff is very nice and location is good as well. Rooms very clean. Good value, clean, comfortable bed and almost on the Main Street. One thing that has changed was instead of nice toiletries, there are now just plastic soap/shampoo dispensers on the wall.. Very spacious room in walking distance from centre (restaurants and shops). Very kind and helpful owners. Walking distance to everything in Port, including the beaches, shops and restaurants. Nice clean rooms, will stay here again. Our stay at the Port Douglas Motel was relaxing and enjoyable. The staff were brilliant and the location was amazing. We had friends stay with 11 month old twins and they also said that everything was perfect. Would recommend and stay here again any time. We had only one night here as we were on our way from Cairns to Cape Tribulation. The motel is nice, right in the town centre but also close to the beach. They were very helpful with information about trips, the way to the port and the road to Cape Tribulation. I booked this hotel in the low season so we got a really good rate. The motel has had a facelift, and the decorations inside are quite nice. 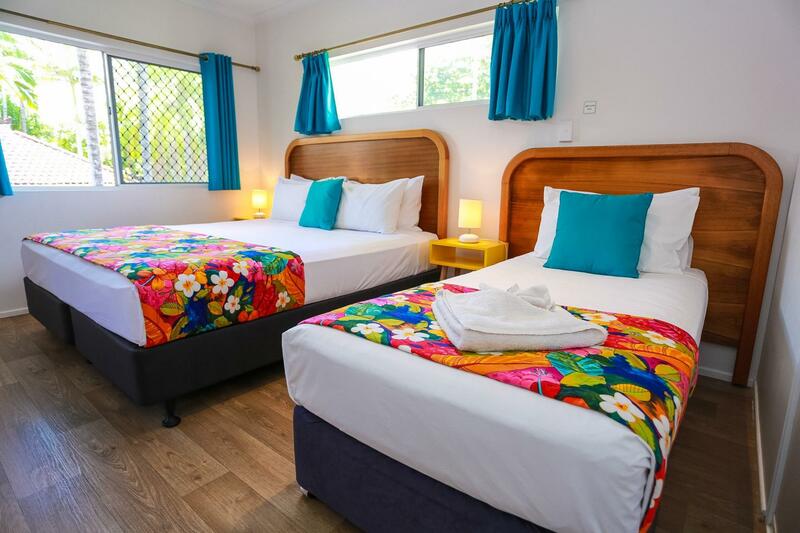 its a comfy room and the location is 1 minutes walk to the main street of Port Douglas which is really handy. This has become my motel of choice in the area, however in high season the price goes up too high for what it is. We've stayed here before and it continues to be our first 'go to' for accommodation in Port Douglas. The location is unbeatable, close to the beach and pretty much on the main street of Port Douglas. 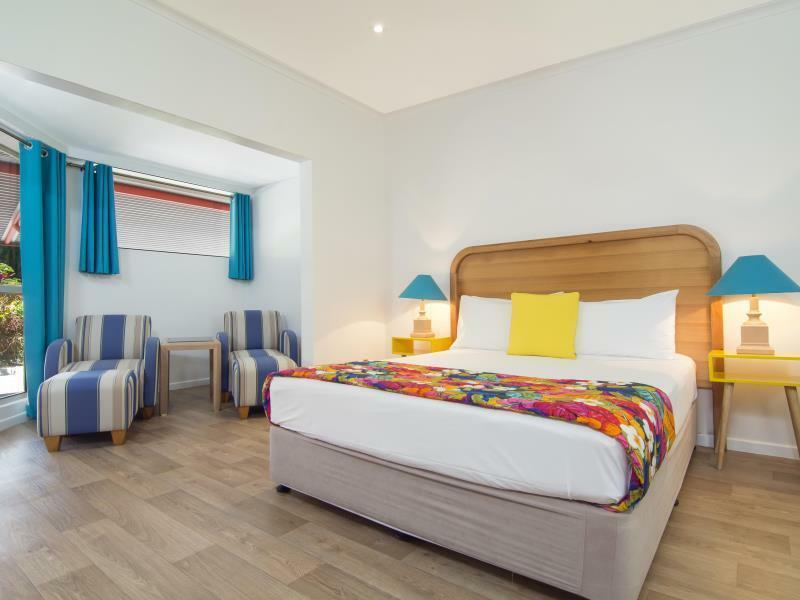 The rooms are quite spacious, the bed very comfortable and they're all renovated so the bathrooms are new and clean. From the outside it appears as a quaint hotel but the rooms are actually far better, with their modern decor they almost compete with many of the top end resorts. From experience there are a lot of dated and drab establishments in Port that aren't shy to charge a fortune just because they can, this place isn't one of them. 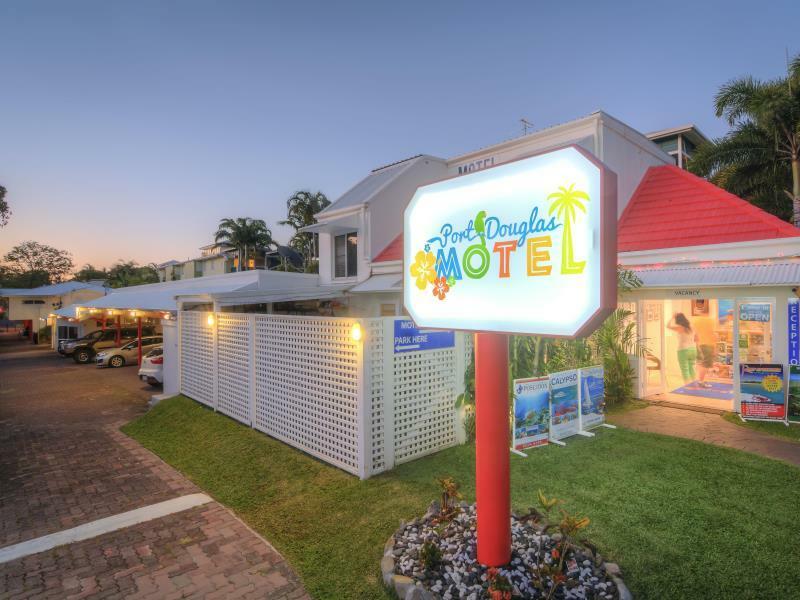 If you're on a budget, you can't beat The Port Douglas Motel..! Great location, neat and tidy facility and awesome staff. Wonderful, the weather was terrific, the hotel was neat and tidy. The hotel manager was extremely polite and very helpful, I would recommend the Port Douglas motel to everyone. its close to town and is very affordable.